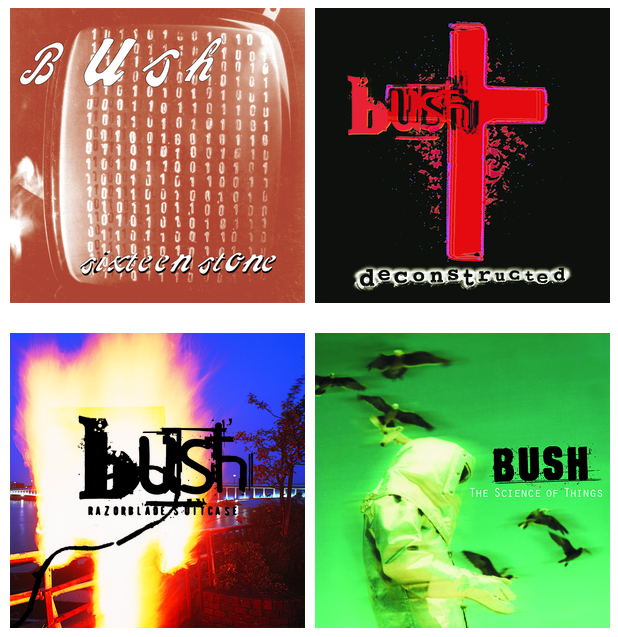 Newly remastered editions of "Sixteen Stone," "Razorblade Suitcase," "The Science of Things" and "Deconstructed" are available today. All of the tracks have been remastered in high resolution from their original audio recordings and we hope you think they sound better than ever. There's also a limited number of remastered "Sixteen Stone" albums signed by Gavin for sale now on Pledge Music. Check out the Pledge store for many more new items as well, including exclusive t-shirt, handwritten lyrics to the song of your choice and an exclusive poster signed by Gavin. We hope you dig the remastered versions and thanks for spreading the word about our new album "Man On the Run," which will be available on October 21.